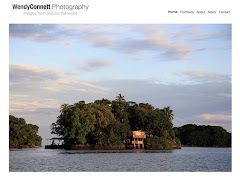 While he isn’t exactly the picture of health you will see Dr. Simi throughout Mexico. 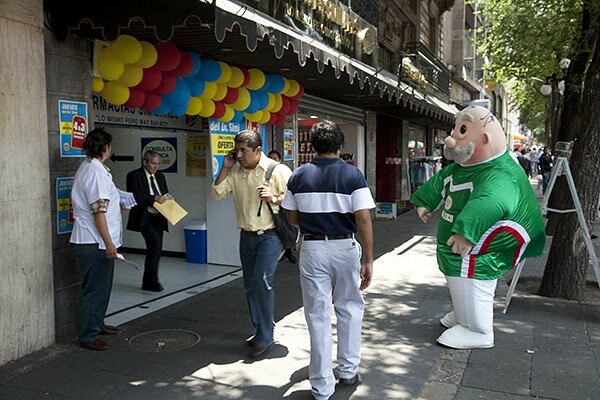 The pudgy mascot dances outside the pharmacy chain he represents Farmacias Similares, which dispenses generic drugs at lower costs. Walk in medical clinics are attached to the pharmacies. In this photo Dr. Simi is sporting a football shirt in support of Mexico’s participation in the World Cup. Are you following the World Cup and if so which team are you rooting for? A piggy for a health agency mascot! That's funny. I'm rooting for Brazil in the World Cup. I'm putting on my shirt now! Kristina, Thanks and hope you have a nice weekend. Lakshmi, Dr. Simi is indeed a character. Fly Girl, Brazil is a good bet no doubt. Will be watching USA today.